This week, Your News to Know rounds up the latest news stories involving gold and the overall economy. Stories include: The World Gold Council’s bullish prediction for gold in 2018, why the gold rally has more room to run, and why is gold rising alongside stocks. 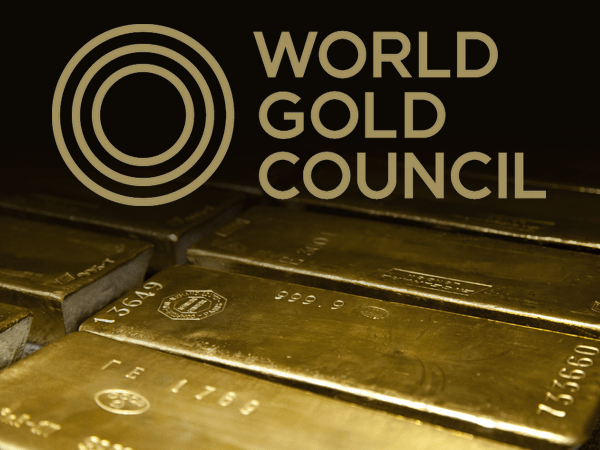 A recent report by the World Gold Council outlined several reasons why gold could extend its gains into the new year. Closing the year with a 13.5% gain, gold was the second-best performing asset of 2017 and enjoyed the best yearly run since 2010. The metal is believed to have been helped by investor belief in additional gains, as well as geopolitical tensions and excessive stock valuations. Factors that could keep gold on its trajectory include an expected reduction of global quantitative easing, along with an uptick in global growth and the increased jewelry purchases and industrial gold demand that go with it. The increase in spending is expected to come not just from the U.S. and EU, but also from China as it shifts to a consumer-driven economy. As market expectations of a U.S. economic slowdown strengthen, the dollar continues its downwards spiral, having recently slid to a three-year low. The likelihood of further losses in the dollar would support gold in 2018, said the WGC, as would concerns over a correction in stocks which could boost safe-haven demand. The variety of investment platforms available will also make gold easier to access for a wider range of investors. Sharps Pixley CEO Ross Norman pointed out the importance of owning gold in present day, predicting an average of $1,358 an ounce in 2018 with potential spikes to $1,400. “Gold has become price elastic, just as it was in the 1990s. And then there was 2000 … the best is yet to come, but not just yet. Patience,” he said. Gold crossed into the new year on the back of an eight-day rally, marking the longest streak since 2011. Although the metal gained 6.6% in the past six weeks and is on a four-month high, there is still room for prices to go higher, says Bloomberg. The Chinese New Year is expected to usher in heightened demand from the Asian nation – over the last decade, the first two months of each year have seen gold gain an average of 6%. Options traders are likely keeping this statistic in mind, as data showed they are bracing for at least another month of gains in the gold market. This also suggests that traders expect the dollar to fall throughout February against the euro, yen and pound. Further losses for the greenback would provide strong support for gold prices, as the metal is nearing its stronger negative correlation to the dollar since 2012. Although some might worry that gold’s gains are too rapid, Mark O’Byrne, marketing director of bullion dealer GoldCore Ltd., pointed out that demand from China and futures markets give the rally a strong foundation. Given gold’s performance so far and the favorable indicators moving forward, O’Byrne expects the metal to break highs above $1,400 later in the year. Why is gold rising alongside stocks? QCTimes’ Mark Grywacheski points to a peculiarity in the gold market: despite all of the gains that stocks have posted, the yellow metal continues to rise. Gold has historically been used as protection from market risk, which includes volatility in the equity market. Yet volatility in stocks has been at record lows throughout 2017 – the same year that gold rose more than 12%. Gold’s performance last year is even more staggering when taking into account the three rate hikes by the Fed, as the metal tends to be sensitive towards policy tightening. And despite forecasts for three more hikes this year, gold’s upwards momentum shows no sign of slowing down. Upon closer examination, however, Grywacheski notes that investor interest in gold might not be all that surprising. Interest rate hikes have an immediate and disruptive effect on the economy by curbing consumer spending. The potential long-term implications are much more worrisome: Fed data shows that 16 out of the 19 rate hikes since 1914 ended in a recession. Hitches in economic growth, along with the dismal track record of the Fed’s tightening cycles, are likely more than enough to keep investors cautious even amid a soaring stock market.